It’s normal for states to protect what they perceive as their valuable pieces of art. But, it’s usually museums or big galleries that are state-protected, or regulated different norms as state-owned artworks. However, there are always exceptions and it seems that the state of Utah is going to adopt a legislation that has actually never been adopted before. 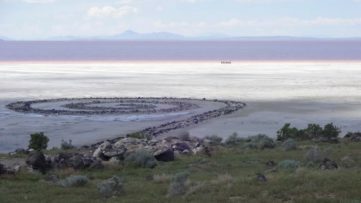 The famous piece of land art – The Spiral Jetty – certainly the best-known work by the American artist Robert Smithson, is cruising toward becoming Utah’s official state work of art. This amazing artwork located in the Great Salt Lake would be the first artwork to be declared a state symbol in the United States. On Tuesday, February 9, the Utah House of Representatives will vote on the above mentioned legislation. The House Economic Development and Workforce Services Committee already voted 7-1 on Tuesday to endorse HB134 (House Bill) to honor the jetty. The Bill’s sponsor is Rep. Becky Edwards, R-North Salt Lake. She stated that this is an opportunity for us as a state to do a little bragging and is a way to shine the light on something unique and special. She also added that too few Utahans know about the sculpture that was made in 1970 by Robert Smithson. The one opposing vote came from Rep. Timothy Hawkes, R-Centerville. He said other means may more appropriately promote the sculpture than adding it as another entry to Utah’s list of official symbols (among other official symbols are official emblem (beehive), bird (sea gull), animal (elk), flower (sego lily), cooking pot (Dutch oven) and a gun (Browning model 1911)). 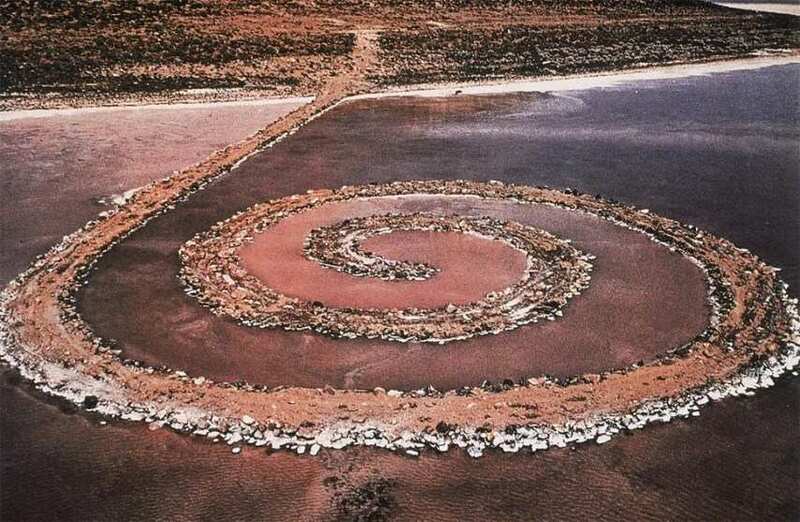 Spiral Jetty is an earthwork sculpture constructed in April 1970 that is considered to be the central work of the American sculptor Robert Smithson. 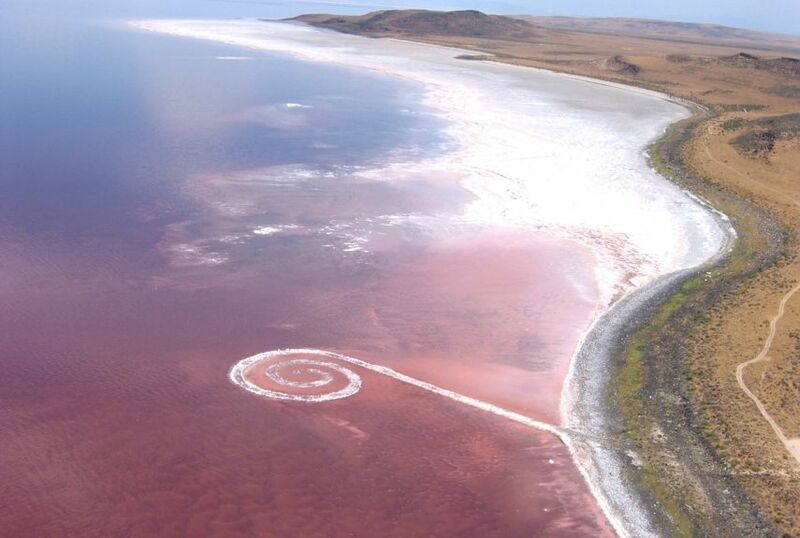 Built on the northeastern shore of the Great Salt Lake near Rozel Point in Utah entirely of mud, salt crystals, basalt rocks and water, Spiral Jetty forms a 1,500-foot-long (460 m), 15-foot-wide (4.6 m) counterclockwise coil jutting from the shore of the lake. It’s made of 6,000 tons of basalt rocks arranged in a giant coil in the Great Salt Lake. The water level of the lake varies with precipitation in the mountains surrounding the area, revealing the jetty in times of drought and submerging it during times of normal precipitation. The sculpture becomes submerged whenever the level of the Great Salt Lake rises above an elevation of 4,195 feet (1,279 m). 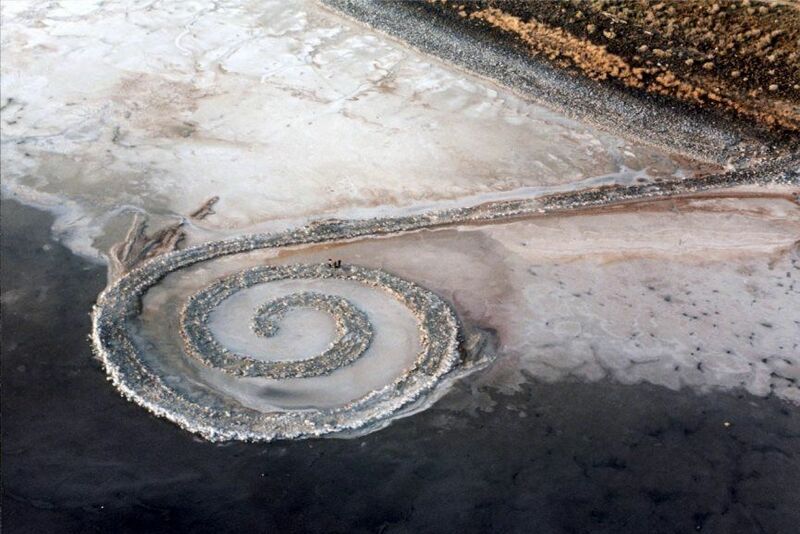 There is no doubt that the Spiral Jetty is one of the most stunning pieces of land art in the United States. 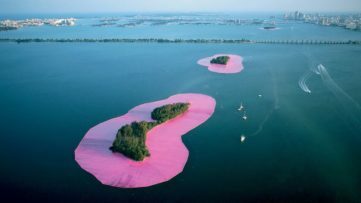 There are only few similar examples of land art pieces that could be compared with Spiral Jetty. 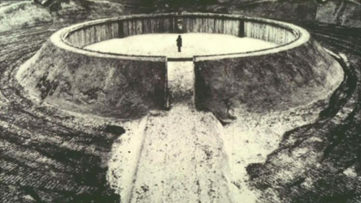 Let us just mention James Turrell and his gigantic projects like Roden Crater. And these pieces of land art should indeed be protected in some way. It’s up to state to decide how. As Shelley Shupe, whose art students at American Fork High School and Utah Valley University proposed the new designation, said about Spiral Jetty: It feels like it is more well known by people outside the state than those who live here, and the designation might encourage more to experience it. 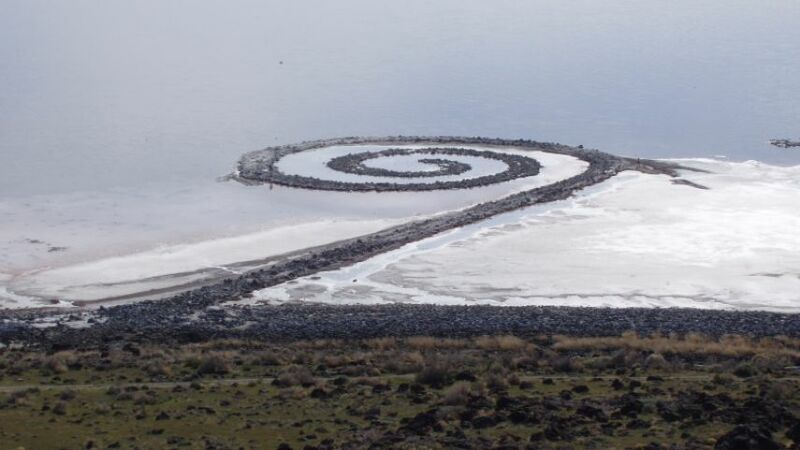 Featured Image: Spiral Jetty (courtesy of thelivingmoon.com). All Images used for illustrative purposes only.